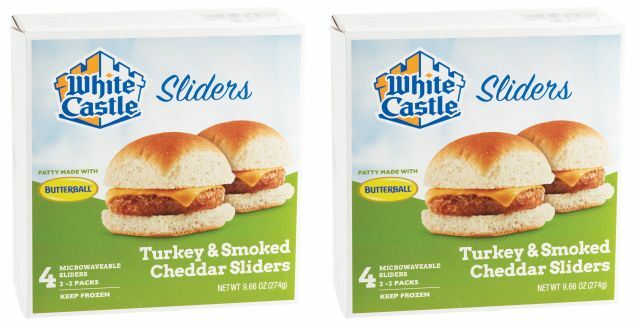 White Castle expands their frozen retail product line with the addition of new Turkey Sliders. Each slider feature Butterball all-natural, white meat turkey patty and smoked cheddar cheese on a slider bun. 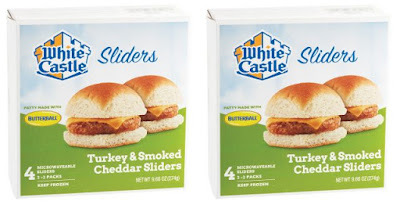 White Castle Turkey Sliders come in packs of four and are slated to arrive starting in March 2019 at retailers nationwide. Besides hamburgers and cheesesburgers, the chain's current retail line-up also includes Chicken Sliders, Veggie Sliders, Black Bean Sliders, and Breakfast Sliders.